A recent research conducted by the Medical Research Institute (MRI) found that when people destroy artificial mosquito breeding sites including yogurt cups, tins etc, the mosquitoes go to natural breeding places such as tree hollows and leaves of certain varieties of trees, a Health Ministry spokesman said. The spokesman said although people destroy artificial mosquito breeding sites created by them as much as possible, the mosquito density goes up all the time increasing the dengue risk. “Health Minister Maithripala Sirisena last year ordered the MRI to conduct a research on this issue. Accordingly, the MRI conducted a research and found that mosquitoes breed more in tree hollows and leaves of trees of a specific variety,” he said. The PH value of the water found inside tree hollows and leaves was 6.9 percent (an increase of 0.4 percent). The hollows of Delonix Regia trees, trees such as bromeliad, Pandanus, Alocasia, pineapple, cut bamboo trees and Drasania provide ideal breeding places for mosquitoes, the spokesman said. The research team inspected 766 natural mosquito breeding places and found that 12 species of mosquitoes breed in them. 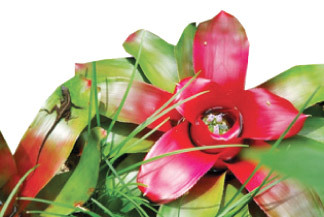 Over 47.2 percent of bromeliads had dengue mosquito larvae and 42.2 percent of Delonix Regia tree hollow had dengue mosquito larvae. Over 40 percent of pineapple trees had dengue mosquito larvae, he said. Over 55 percent of Delonix Regia tree hollows had dengue mosquito larvae. The MRI requested the public to destroy trees which hold water in them and fill the hollow with sand or cement plaster. No tree should be left to hold water in them because even a teaspoon of water inside a tree hollow or between leaves can provide an ideal breeding place for dengue mosquitoes, he added.